Pueblo High School Dirt Track Race Car took it to them in the shorten 15 lap feature at USA RaceWay this past weekend. Driver, Trevor Hidalgo, drove one heck of a race. Pueblo started 6th in the first heat race of the night. The race car was a hand full as Trevor spun out on lap 2 of a 6 lap race finishing 7th out of 8 cars. Pueblo then had to race their way into the main event by going through the B main. They started 10th in a 14 car field where only 8 cars qualify for the A main. Crew members had worked on the car before hand in hopes to improve the cars handling. On the first lap of the B main the number 13 car came down into the Pueblo car pushing them off the track. The car hit a tractor tire smashing the front end. Trevor stood on the gas and finished 4th in the B main qualifying Pueblo for the A main. The team went to work as they had to fix the car before the main event. They used everything from bailing wire, duck tape and bubble gum to put the race car back together. They started 18th in a 20 car field. Trevor quickly made his way through traffic and as he avoided wrecks in front of him to finish 4th in the A main, Pueblo’s best finish ever in this car! Pueblo Dirt Track Racing’s next Pueblo Motor Sports event is August 28 at Southwestern International Speed Way, where Edwin Garcia will be racing for Pueblo’s first track Championship in 7 years. Edwin is in 2nd place in points. If he wins he will win the SIR track Championship. The team has also been invited to the 2009 Division 7 National Championships in Phoenix October 5-8 for the fist time since 2001. 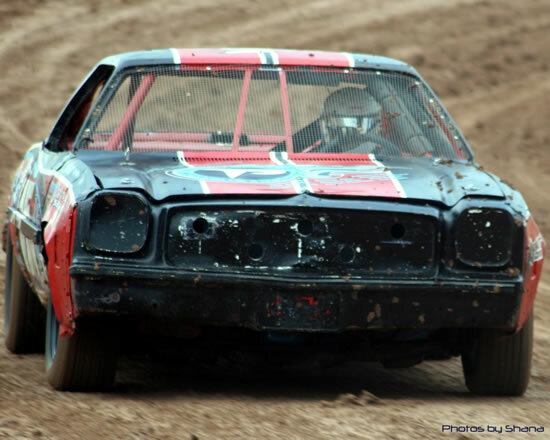 The vary next day, Saturday, August 29 they will be racing the Dirt Track Car at USA RaceWay in hopes to improve their 4th place finish and crack the Top 3! 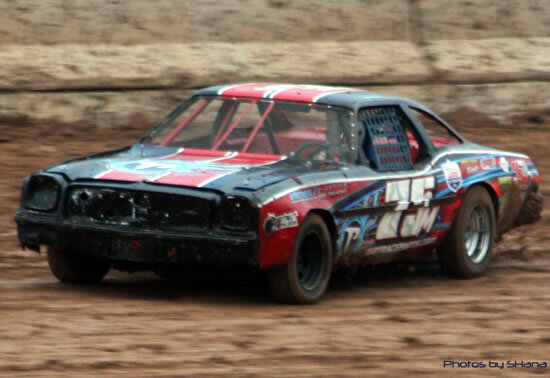 I just love the dirt cars! very good story. Good blog post, I will be sure to save this in my Mixx account. Have a great evening. Do you still race? If so, please contact me at dberner@ajusd.org We are looking at possibly building a car for the new track by our school.